This past weekend we spent a few fun filled days in East Texas soaking up the Texas sun and enjoying the beautiful surroundings of our good friend's ranch, and now we're packing up for another week on-the-go! This week's Sunday Seven highlights a few of my favorites from this weekend as well as a few of my current favorites for a weekend getaway! A lot of you commented and messaged me about Stella's adorable pinafore from my Instagram feed this weekend! It was the perfect outfit for our weekend getaway to East Texas! While it's technically Fall, the weather still feels more like summer! This frock was the perfect outfit as it was light and breezy, yet also the perfect Fall shade of burnt sienna! I love that this could be worn now with bloomers, but will also be perfect later on with tights and a shirt! It is definitely one of my favorite looks for Stella this Fall! Hurry while it's still in stock! If you're looking for a Fall day trip for the family, Yesterland Farms is a quick 1 hour trip from Dallas! The farm features a pumpkin patch, an assortment of rides, petting zoo, pony rides, face painting, and so much more! Stella and her sweet friend had a great time! I do think it is best for children 4+ though as you must be at least 32" to ride any of the attractions, which Stella was, but adults can't ride on many, so they need to be independent enough to want to ride a ferris wheel by themselves! If you have multiple aged children, there is still plenty for them to do and enjoy! If you do go though, I definitely recommend waiting for cooler weather!It was 94 degrees this weekend and we were HOT!! Also, I like to note for others like me who are picky, their only restrooms are porta-potties, so just know that in advance if you're like me and avoid them at all costs! I originally bought this diaper bag as a backpack alternative to the Pottery Barn tote I had for traveling purposes. Little did I know that it would turn out to be the perfect weekender bag for Stella! Already equipped with areas for diapers and wipes, this backpack is the perfect bag for a quick weekend getaway! I love items that have an extended life beyond its intended use and this backpack is a great example of that! It's a great gift for a new mom!! Every nature baby needs a pair of rubber boots for splashing in puddles, running through mud, and walking through questionable patches of grass at the ranch! This week through Tuesday, Zulily has some of our favorite boots including Oakiwear, Timbee, and Lily of New York on sale from $14!! They would make an excellent Christmas gift for the little explorer in your family! 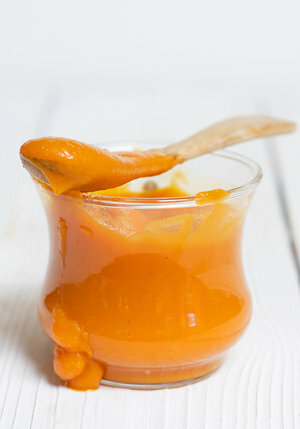 I started making Stella's baby food when we started introducing solids, and I've continued even now that she's a toddler! While I frequently buy organic pouches from the grocery store, I love making her seasonal purees as well using my Baby Bullet and Infantino Squeeze Station! When I'm looking for recipes, I always visit Baby Foode's site for inspiration like these 15 Fall Inspired Purees for Baby and Toddler! They have the most creative blends so I know Stella is getting a wide array of nutrients, and keeping things seasonal, I know its the freshest produce, too! Packaging the purees in Infantino squeeze pouches makes for the perfect travel snack, too! This week we'll be traveling out of state, so Stella will need more than a weekender bag to fit everything she'll need! Luckily, we have the cutest suitcase from PBK! We currently have the Large Suitcase from the Mackenzie soft collection, but I'm dying for their new hard case collection! The gingham is so adorable and would look so cute with a pink monogram!! We need to start traveling more so I can justify buying a new one!! When I'm on a road trip I choose to go make up free! There is something about sitting in a car for hours at a time that makes me just feel dirty even though I'm clean! One of the ways I make road trips more comfortable is to have facial cleansing wipes readily available! When I start to feel gross, I take one out and wash my face and I instantly feel refreshed! These cleansing wipes are not make up removers, but they are a great for giving your face a fresh hydrated feeling! They are my go-to on the road, but I also keep them at work and in the car! There is just something about a clean face that makes me feel instantly better! I hope you found some inspiration for this week ahead, especially if a road trip is in your future! Happy Shopping friends!